Originally I come from County Clare on the West Coast of Ireland. I grew up among a menagerie of animals and a wonderful family. I rode on the beach, explored the bogs near our house and from a young age was always fascinated and in awe of nature. 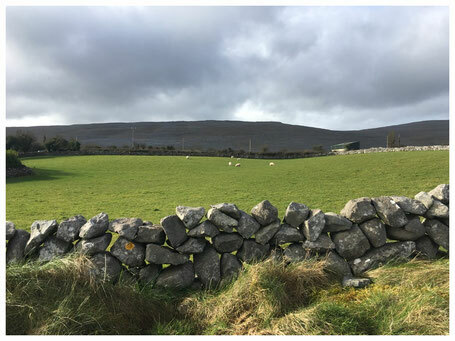 The farm where I grew up, is also situated on the Wild Atlantic Way, which is a long and breathtaking drive spanning the entire west coast of Ireland. In Ireland, the summer holidays are two months long so as a child I was very bored and in need of distraction. This was compounded by living in an isolated farm and when in school only having 3 classmates. This is where art and literature came in. I used to sketch and read as well as play with my brothers in the sand pit. I had a lot of time to do this and it significantly shaped my childhood. I was effectively living in a cocoon surrounded by wonderful things and places. Today when I journey home, I am always struck with emotion. Living in Germany, I am an immigrant there because of economic circumstance. I emigrated from Ireland in 2012 along with 20,000 other Irish from a country with a population of 4.5 million. We were seeking a better life despite leaving our home behind. It was the recession and I left because there was nothing there for me. Now I find myself in interesting middle ground. I find that when I return to Ireland I also feel homesick for Münster and for Germany. The concept of Home for me has become much more multifaceted.